The holiday, which is believed to have been started in the 1990s as a way for men in colleges to celebrate being single, was turned into a shopping event in 2009 by Alibaba’s Jack Ma and has since become an annual tradition. Other retailers, including JD.com, Suning, and smaller brands, have started to participate in the holiday by offering sales and promotions, too. 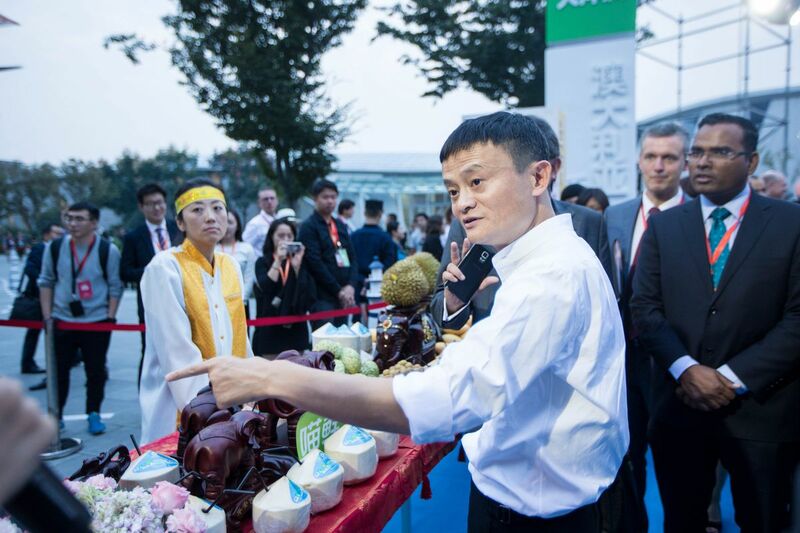 Alibaba has multiple platforms that it offers sales on: Taobao, Tmall, and AliExpress. The latter is aimed more at international customers and is the only one of the three available in English. Tmall and Taobao are quite similar, except Tmall’s deals are offered by companies to customers, while Taobao contains deals sold by individuals, which is more like eBay. Some of the highlights we anticipate on AliExpress and Tmall include deals on Huawei and Xiaomi devices. We’re updating this article constantly with the latest Singles Day deals. It’s easiest for English-language speakers to shop on AliExpress, and you’ll find that virtually every item on the site is on sale for at least $1 off on Singles Day. It’s a very minimalist site that works like Amazon does. It also offers 24/7 customer service and free returns. This is where you’re going to have the best shopping experience and easiest time comparing deals, so we recommend shopping here instead of on other Alibaba platforms. If you’re feeling adventurous and want to try the Chinese-language sites, here’s how you can go about doing so: First, make an account for Taobao on the mobile app (available on iOS and Android). While you don’t need an account just to browse items, you will need one in order to get them to ship to you. Taobao’s app also shows listings on Tmall, so by shopping on one platform, you’ll be able to see deals from multiple sources. You’ll still be able to search for items in English, as sellers often include an English phrase or two in the item description to help foreigners find products. If you’re located within China, even if you’re just visiting, you’ll be able to get Taobao and Tmall orders within one to two days if you’re ordering from a seller living in the same province as you and around three to four days if you order from a seller in a province that’s farther away. As for AliExpress, which is aimed more at foreigners, the province information is often not shown. Shipping to the US can take over a month or longer depending on which method you select, although AliExpress offers delivery arriving as soon as 12 days. If you are hoping to get holiday gifts or time sensitive orders, they may arrive after the season’s excitement has dimmed. Unlike many American retailers, Singles Day websites often display their deals ahead of time, but you’ll have to wait for the actual day itself to enjoy those prices. The prices can be ridiculously cheap, but if the goods are being sold by a third party on Taobao, they could be suspect. Check reviews and sellers’ ratings. Taobao has a particularly intricate system for rating its sellers, including honoring the best ones with multiple royal crowns. Pretty good sellers get diamonds, and beginner sellers with some favorable reviews get hearts. I don’t recommend purchasing Apple, Google, or other imported products from the US on any of these platforms. Foreign imports are often marked up at higher prices in China, and a lot of US retailers offer the same devices for cheaper, with much faster shipping and more reliable delivery estimates. Even when it comes to brands that are native to China like Xiaomi and Huawei, some US retailers like B&H could be offering even better deals on identical products. You’ll also need to give your bank advanced warning that you’re about to make foreign transactions. For some reason, unlike making casual purchases from a British brand, buying things off of Taobao could set off alarm bells ringing for your bank. For instance, last year I ordered a Halloween costume from Taobao, and my bank flagged it as a foreign transaction from China and froze my card for a month until I noticed. Many banks already make it easy to leave travel notices, but it might take a bit more wrangling to leave a more specific note saying you’re physically still in the US but are shopping internationally. Below, I’ve highlighted some good Singles Day deals either featuring China-exclusive products, or products that have been significantly marked down. Here’s the main page for Tmall deals, and the main page for AliExpress deals as well.